DCAD is located at 600 N. Market St. in Wilmington, Del. Easels and light refreshments will be provided, but attendees must bring their own art supplies. Participants may attend as many hours of the event as they like. Cost is $30 per person in advance or $35 at the door. 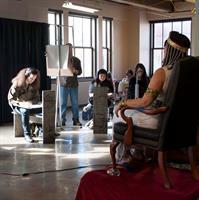 Because space is limited, advance registration is strongly recommended at bit.ly/DCADDrawingMarathon. Questions about Drawing Marathon or Open Figure Studio may be addressed to Community Programs director Randle Reed at rreed@dcad.edu or (302) 622-8000, ext. 123.